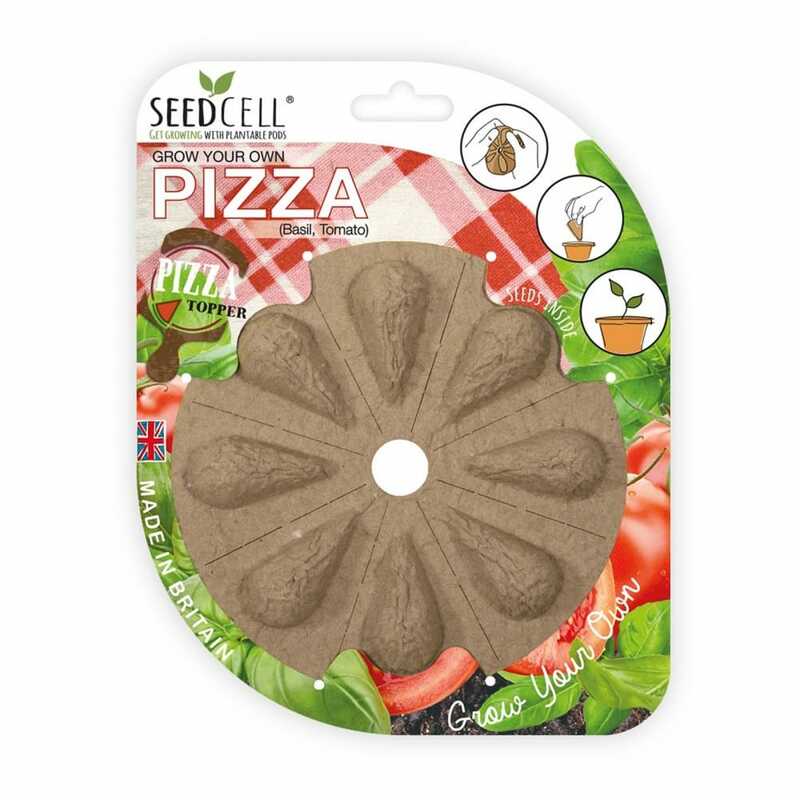 SeedCell offers a fun, clever, and waste free way to plant seeds and flowers, simply snap the cells out and push them into some soil and no need for tools, then water them and give them your love and attention and watch them grow. SeedCell allows everyone and anyone to grow their own flowers, fresh herbs and vegetables from seed without having to be an expert, the natural pulp material which makes up the SeedCell will absorb in any ground moisture once planted and as you water your seeds it will help deliver a steady feed directly to the seed without the worry of over watering. A bit about the brand: SeedCell allows everyone and anyone to grow their own fresh herbs and veg from seed without having to be an expert and it's fun, clever, and waste free way to plant seeds. It's easy just push the packaging into the soil and the the water absorbing technology will do the work for you, with less watering, less maintenance and no sowing!